You Got Engaged Over the Holidays!! !….Now What?! Happy New Year! We’re a couple days late getting this week’s blog out but we’re back! Poll: Who got engaged over the holiday season? Fun fact: Thanksgiving actually starts the beginning of engagement season that extends through Valentine’s Day. Between the pretty snow, ample opportunities to see family and friends, and built-in time off work, makes sense that’s when the question gets popped. So you said, “YES!” OMG your engaged! Look at that rock! Pop the champagne and squeal excitedly and do your happy dance! Feel good? Breathing getting back to normal now? Okay, so what now? DO call your family. If the proposal was a private event between you and your person, get on the phone and call parents, grandparents, and siblings. Texting friends is one thing, but dear old Grandma needs a phone call. Good rule of thumb: if you would be upset a friend didn’t call you personally with the news, call them; if you would be upset to see an announcement on social media without either a phone call or text beforehand, let those friends know personally. Which leads us to…DO post on social media…but maybe wait a little bit. Social media isn’t going away and what a great way to mass share information with a lot of people at once. But once you hit post, be ready for all the “Congratulations” messages…but also all the questions. In the same vein with social media DON’T become too braggy. Your friends who may be single or waiting for their proposal know you’re excited to not ever go on a first date again and you’re so happy you found your person. No need to rub it in. DO have a story ready for how the proposal happened. You will be telling this story A LOT. Family, friends, co-workers, distant acquaintances, folks you barely know will want to know the story. By the 800th time you’ve told the story you will want to have the highlights covered. 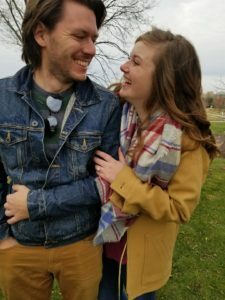 A way to help with this is DO create a wedding website. Having a place for guests to check out registry, proposal story, room block, and general wedding information is super helpful. You can make it as detailed as you want but it can help cut back the number of repeat times you’ll be communicating the same information. Now for some practical things. DO get the ring resized if it doesn’t fit properly. I know it hurts to have it leave your sight, but think how much more it would hurt if it slipped off and you didn’t realize it. Take the time it’s being sized to freshen up your engagement manicure. Also, DO get it insured. Call ASAP and add that puppy on to your homeowners or renters insurance. Another practical thing to do? DO start a wedding savings account. Even if the parents are able to pay for the wedding, you will have extra expenses coming up and will thank yourself for setting aside a little extra. DON’T get pressured into locking in the details. Around engagement time family and friends with good intentions get swept up in the moment too and can start offering all sorts of things. While it’s tempting to seemingly get everything “planned” in a couple days, keep your options open to make sure your vision is coming together. However, DO start gathering ideas! Hunker down with your stack of wedding magazines, and yes Pinterest, and start gathering some ideas. Figure out what is important for you and your person, general number of guests, and general budget ideas. This will help you start to know what kind of venue and other vendors to start shopping for. DO take your time. It’s easy to get swept up in the proposal/engagement and it’s exciting to plan a wedding. But make sure you’re putting together a weekend that highlights what is important for you and your fiancée.